The most basic way to get GC-related information from the running JVM is via the standard JMX API. This is a standardized way for the JVM to expose internal information regarding the runtime state of the JVM. You can access this API either programmatically from your own application running inside the very same JVM, or using JMX clients. 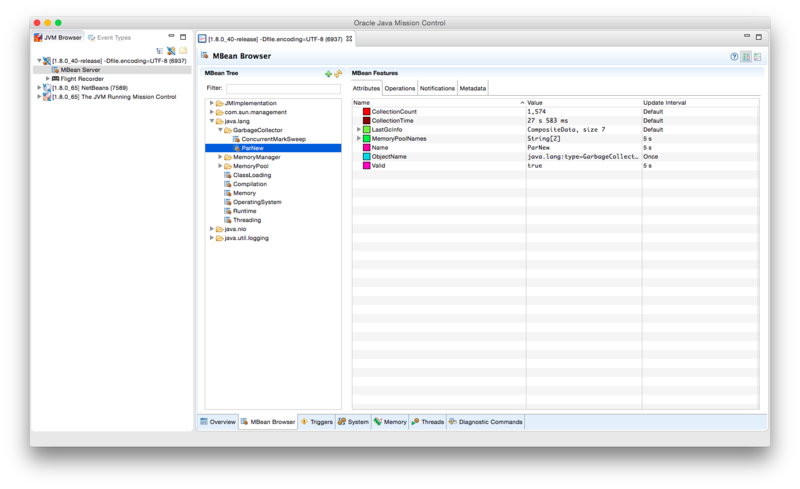 Two of the most popular JMX clients are JConsole and JVisualVM (with a corresponding plugin installed). Both of these tools are part of the standard JDK distribution, so getting started is easy. If you are running on JDK 7u40 or later, a third tool bundled into the JDK called Java Mission Control is also available. In the example above, the JVM opens port 5432 for JMX connections. As the screenshots above indicate, there are two garbage collectors present. One of these collectors is responsible for cleaning the young generation and one for the old generation. The names of those elements correspond to the names of the garbage collectors used. 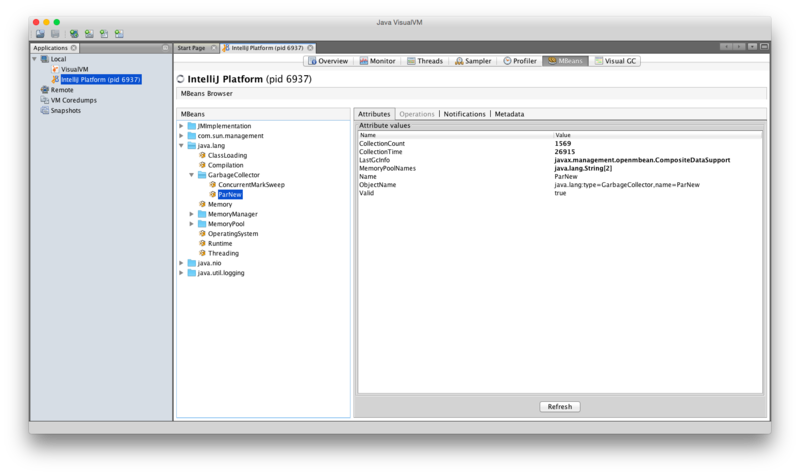 In the screenshots above we can see that the particular JVM is running with ParallelNew for the young generation and with Concurrent Mark and Sweep for the old generation. In my experience this information is not enough to make any conclusions about the efficiency of the garbage collector. The only case where it can be of any use is when you are willing to build custom software to get JMX notifications about garbage collection events. This approach can rarely be used as we will see in the next sections, which give better ways of getting beneficial insight into garbage collection activities.